Ghezel (also Known By: Kizil-Karaman, Mor-Karaman, Dugli, Erzurum, Chacra, Chagra, Chakra, Gesel, Gezel, Kazil, Khezel, Khizel, Kizil, Qezel, Qizil, and Turkish Brown) originated in northwestern Iran and northeastern Turkey. 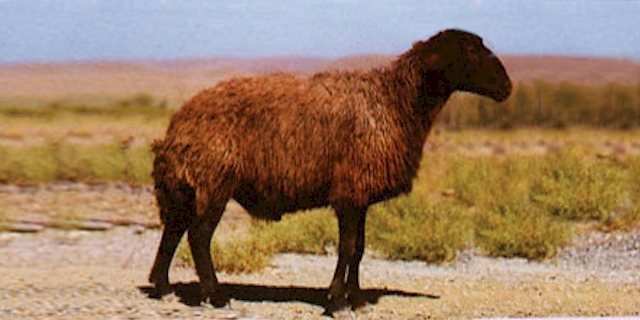 Their fleece is red and has sections of black red or light red. They are used for both meat and wool production. The males are usually hornless and the females are always hornless.